Sir Seretse Khama International Airport is Botswana’s major international gateway; it sits outside the country’s capital and largest city, Gaborone. While budget travelers can get away with a $30 per day budget in Botswana, those wishing to take safaris or pursue other upscale activities need a considerably larger budget. Tourism peaks in Botswana during June through August, when the safaris are in full swing. These months are the middle of the country’s dry season, when temperatures are around 24˚C (75˚F). Wet season temperatures are roughly 10˚C (15-20˚F) higher than the dry season. Handmade art, masks, and jewelry are commonly found souvenirs sold by vendors throughout Botswana. The landlocked southern African country of Botswana is a rapidly growing tourist destination. Nearly 70% of Botswana is covered by the Kalahari Desert. While this desert can get dry and harsh, it does receive the occasional heavy rainfall, which is enough to support a vast network of flora and fauna. The vast majority of travelers are interested in taking safaris to see these unique animals in the game reserves found through the country, which include cheetah, hyena, secretary birds, wildebeest and even ostrich. However, there’s lots more to do in Botswana besides taking safaris. The country has a bustling capital city with a growing artistic scene. Botswana is also home to a number of fascinating historical sites from various periods in its history, including some of Earth’s earliest cave paintings. While disorganized hunter-gather groups have probably occupied Botswana for many thousands of years, most records don’t detail the country’s history prior to the arrival of the Bantu people. They were said to arrive between 200 and 500 CE, as part of a massive migration throughout southern and central Africa. The Bantu were renowned for their advanced agricultural and metalworking skills. By 1000 CE, the Bantu migration was more or less complete, and Botswana’s cultural identity began to form. Although cattle herding and agriculture still dominated Botswana’s society, they began to organize into towns and cities in a way they hadn’t before. Of course, this all changed with the arrival of European colonization. In response to a series of conflict between ethnic groups, the British took control of Botswana in 1885, calling it Bechuanaland. The region was split into two halves, of which the northern half had the same borders as modern Botswana. In 1967, Britain accepted a proposal from Botswana to install a democratic, independent government. This proposal came just two years after the Constitution was drafted. Since then, Botswana has enjoyed a series of stable, uncontested democratic elections. Though Botswana faced one of the lowest GDPs in the world during the 1970s, its history of political and economic stability has given the country a unique advantage over many of its neighbours. Today, Botswana is considered one of the largest, fastest growing economies in Africa, and the country has become increasingly attractive to foreign investors. 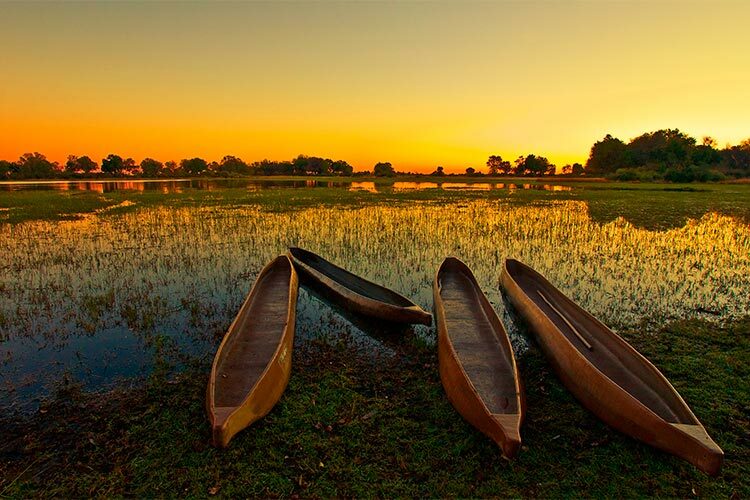 Perhaps the most famous natural attraction in Botswana is the Okavango Delta. 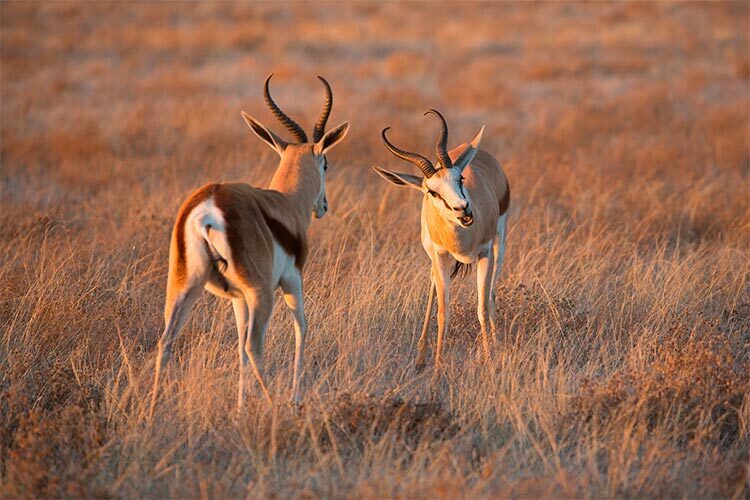 This region is a part of the Kalahari Desert Basin, renowned for its beauty and diversity. The Okavango Delta is an inland delta, meaning that while it is the endpoint of the Okavango River, it does not flow into the ocean. Instead, it evaporates and dissipates into the atmosphere. This provides a complex yet fertile ecosystem that supports enormous numbers of flora and fauna. For instance, the Okavango Delta region is home to tree species than the entirety of Western Europe. Numerous parks and settlements offer access to the Okavango Delta region, but the Moremi Game Reserve is probably the most popular option. Adjacent to to Moremi Game and Wildlife Reserves is another popular national park, Chobe National Park. This area is Botswana’s second largest national park, though it was the first region designated as a national park. It was given this protection due largely to the numerous animals that call the area home. The park’s most famous residents are its elephants, which congregate in huge numbers around the park’s watering holes. It’s said that Chobe National Park has more elephants than any other park in all of Africa. Other residents include hippos, lions, giraffes and leopards. The capital city of Gaborone and surrounding metropolitan area are home to the majority of Batswana. Compared to some of the other large African cities, Gaborone is very clean and safe, though it lacks some of the historic and cultural attractions one might expect from a capital city. Still, sightseers can be dazzled by views of the major government buildings in the Khama Crescent at the city center. Gaborone is also home of the country’s national museum and accompanying art gallery. The city is also filled with shopping malls, making it one of the best destinations in the country for upscale clothing, electronics and other goods. There’s also a descent game reserve located adjacent to the city, which travelers can drive through at their leisure. 1) While in Gaborone, be sure to do some shopping and eat at the fine restaurants, which are widely considered the best in all of Botswana. If you’re interested in the country’s history, check out the government buildings in the Khama Crescent, or head over to Botswana’s national museum. 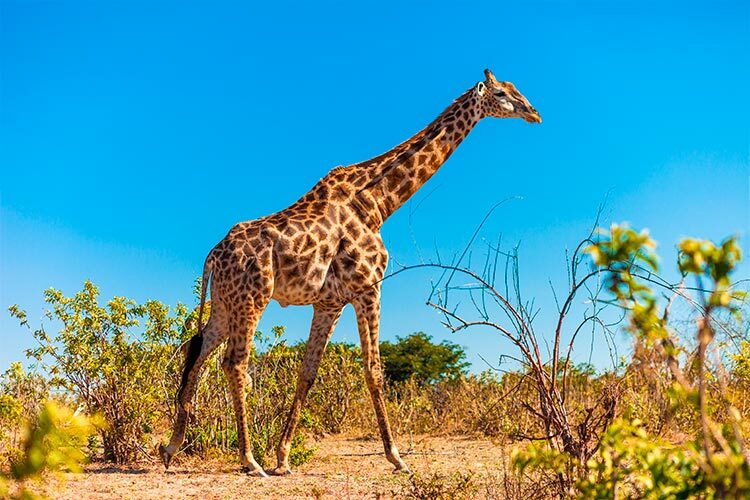 If you won’t be visiting other game reserves on your trip, consider taking a drive through the nearby Gaborone Game Reserve. 2) Manyelanong Game Reserve is just a short drive from Gaborone. This park is mostly known as one of only two remaining habitats for the Cape vulture. This park features numerous steep cliffs, many of which are the setting for fascinating local legends. Visit the Otswe Village in the reserve to hear about the area’s history. 3) Though Francistown is Botswana’s second largest city, it has yet to experience the level of tourist interest as Gaborone. However, it has a few sites worth mentioning, including the lovely Supa Ngwao Museum. The town is also close to one of Botswana’s more famous archaeological sites, the Domboshba Ruins. 4) The Makgadikgadi Pan, and accompanying nature reserve, are one of the more unique biomes in Botswana. The area was once covered by the enormous Makgadikadi Lake, which was said to be larger than all of Switzerland. However, natural events caused the lake to dry up several thousand years ago, leaving behind only a majestic salt flat. Besides its natural beauty and wildlife, the Makgadikgadi Pan is also known for its archaeological significance, as tools found there predate the evolutionary development of the anatomically modern man. 5) The thing to do in the Okavango Delta is safari. Between the countless plant species and wide variety of animals, its easy to spend a great deal of time exploring the region. 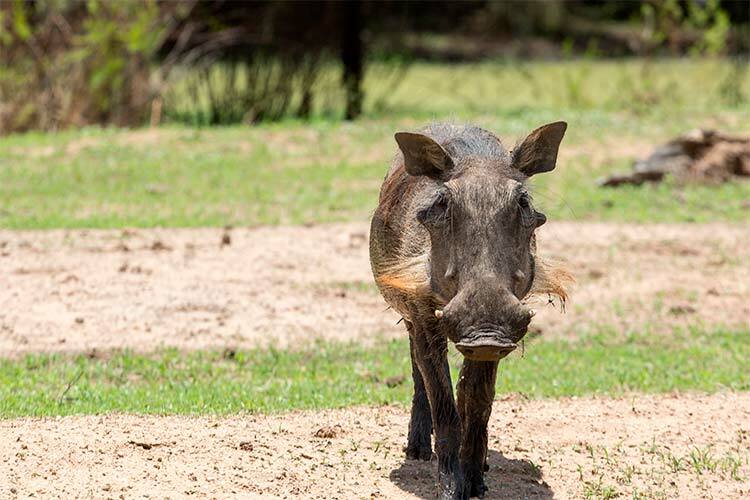 The Moremi Game Reserve is probably the best locale for seeing animals, but most of the region surrounding the Okavango Delta is rich in wildlife. The region also features a number of small villages, like Shakawe and Maun. 6) Spending some time with the elephants in Chobe National Park couldn’t be easier, as the park features the continent’s largest population of elephants. 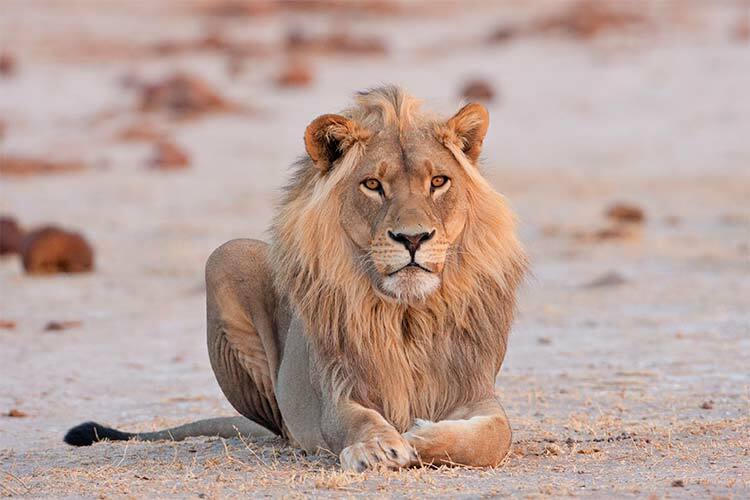 Nearby the elephants are some other examples of popular Batswana wildlife, including leopards and lions. Chobe National Park is also an important historic site, as it was the country’s first national park and the beginning of the country’s ecotourist craze. 7) In the extreme northwest corner of Botswana is the Tsodilo Hills. This UNESCO World Heritage site is the home of some of humanity’s oldest cave paintings, of which there are more than 4500. 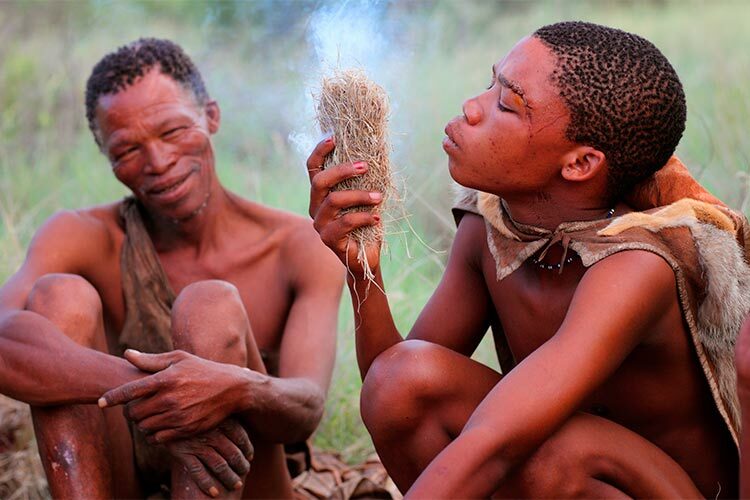 The San People, a nomadic hunter-gatherer population still found wandering the Kalahari Desert, consider the Tsodilo Hills one of their most sacred sites. 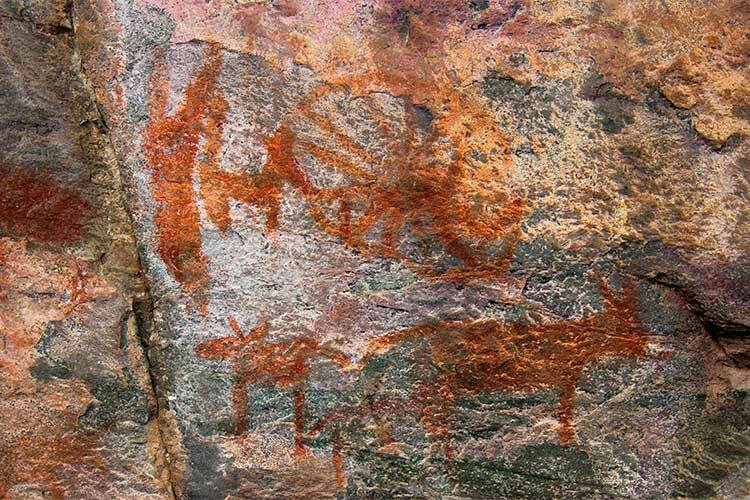 However, the San did not create all of the paintings at Tsodilo, as evidence suggests many were created later by the Bantu.